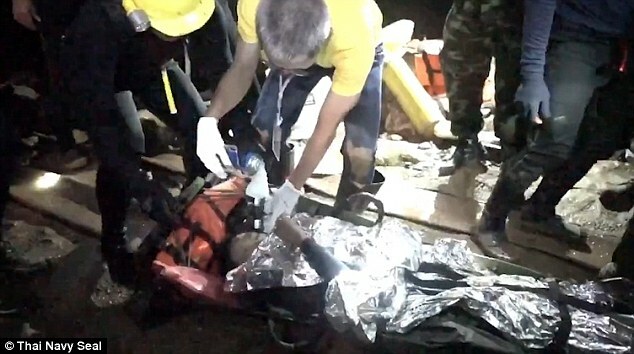 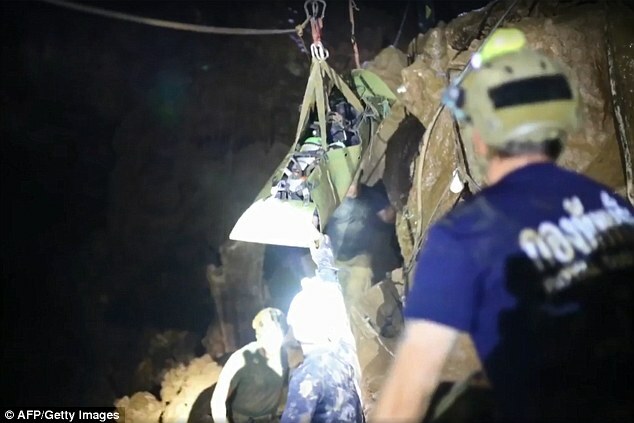 The schoolboys rescued from a flooded cave system in Thailand were dosed with an anti-anxiety drug to stop them panicking during the terrifying underwater mission, the country’s prime minister has admitted. 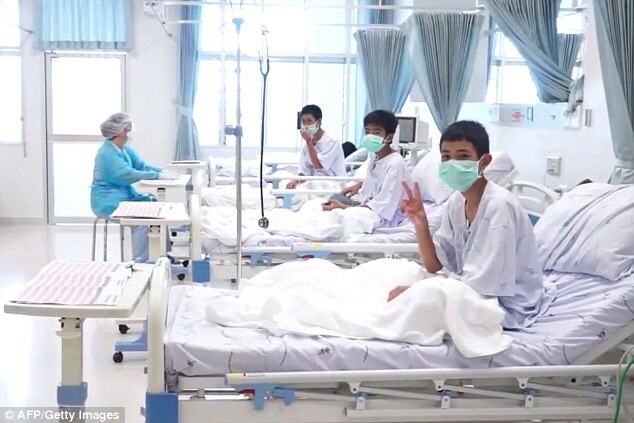 The authorities had previously denied the children were drugged but Prayut Chan-o-Cha confirmed that they had been given anxiolytic ‘to make them not excited, not stressed’. 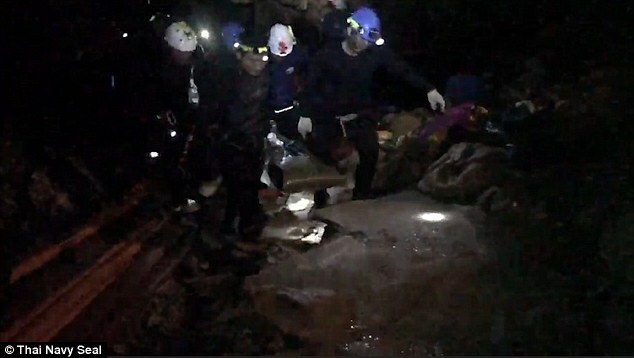 The rescue was carried out by an elite team of international divers, led by Britons, who guided the sluggish youngsters along the tortuous two-and-a-half-mile escape route. 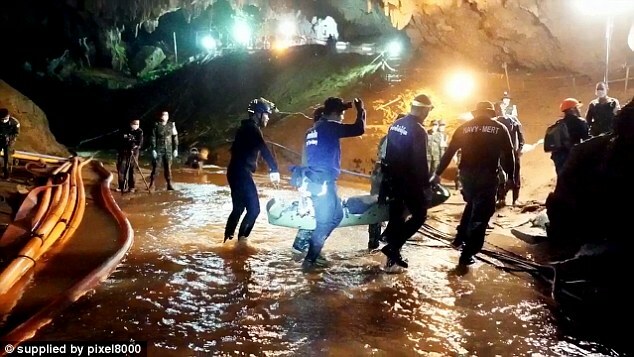 It shows divers preparing to plunge into murky brown waters likened to ‘cold coffee’. 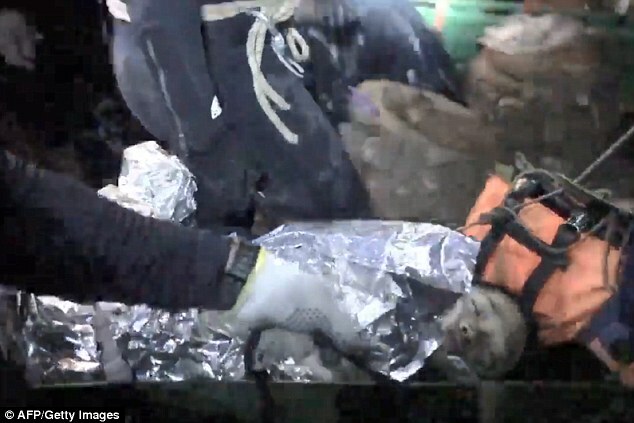 Wrapped in foil blankets to keep them warm, the boys are threaded through a claustrophobic tunnel compared to the ‘S-bend’ of a toilet. 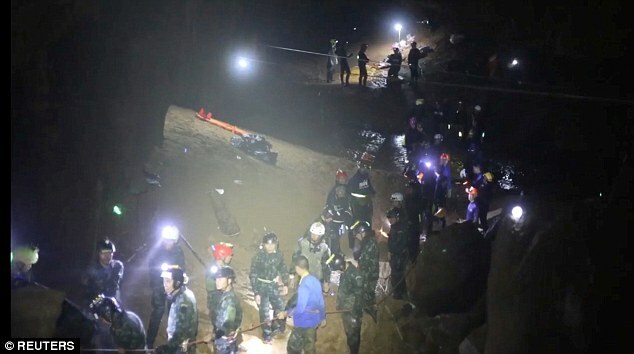 They are then lowered down steep drops and pulled through terrifyingly narrow choke points. 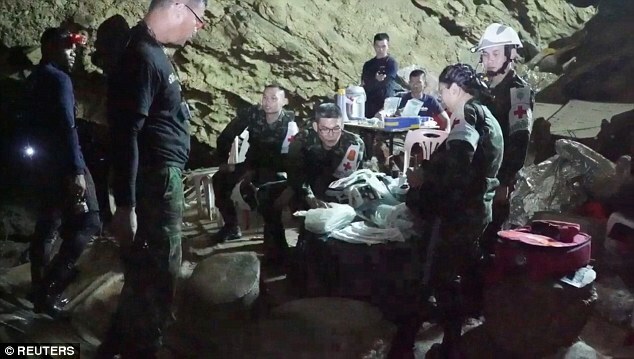 He added doctors were stationed along the corridors of the Tham Luang cave to check constantly on the boys’ condition and pulse. 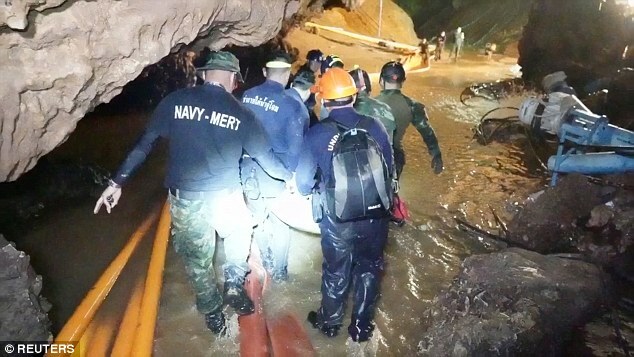 Mr Anderson said divers practised their rescue techniques in a swimming pool with local children about the same height and weight as the members of the Wild Boars football team trapped in the cave. 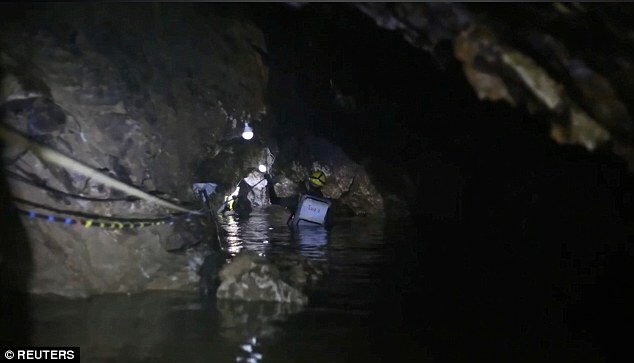 The aim was to make each of the boys ‘tightly packaged’ so divers could keep control of them and adjust their air supply as needed. 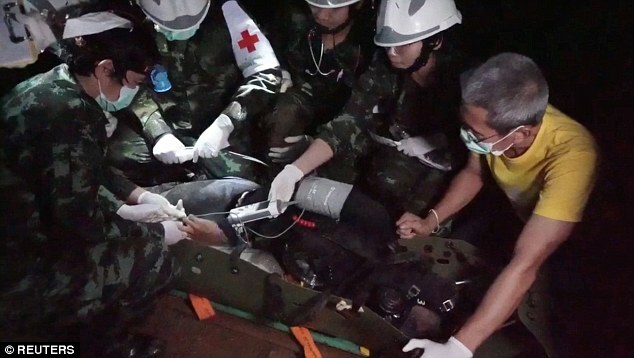 Mr Anderson said the so-called positive pressure diving masks used by the boys were ‘crucial’. 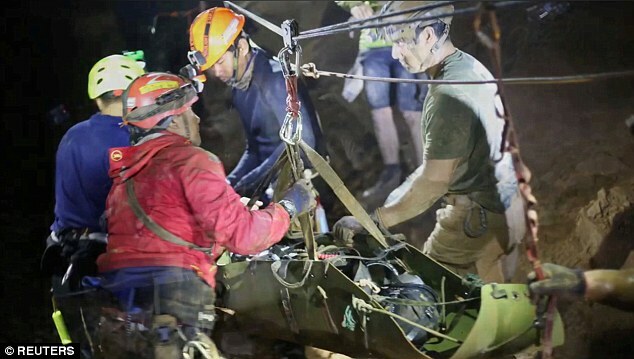 The head of the rescue, Narongsak Osottanakorn, revealed yesterday that the cave will be turned into ‘a living museum’.